This years World Wide Developer Conference has just wrapped up, and while it can be easy to get caught up in the excitement, there is something that developers and users of Apple's iOS platform may be less than excited about; the app apocalypse! If you're an iOS developer, this should not be a surprise. Apple has been implying this for years and explicitly stating it in recent months. Specifically, they have stated that all apps not supporting 64-bit will cease to function in future versions of iOS. Well developers, unfortunately iOS 11 is that future version, and so it's time to prepare. 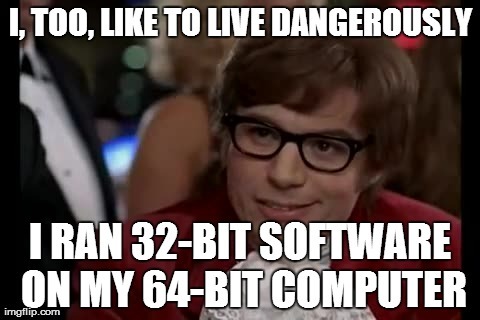 It's a bit annoying... 64 bits to be exact! Apple first added the ability to create 64-bit applications shortly after the announcement of the iPhone 5s, with the introduction of the first 64-bit mobile processor called the A7 chip. From February 2015, Apple announced that it would no longer be accepting new apps to the app store that were not 64-bit compatible, and from June 2015, all updates to existing apps must also be 64-bit compatible. Since then, it has taken several gradual steps towards removing 32-bit applications completely, from displaying user warnings to informing developers directly of the future possible removal of their applications. The long and short of it is that there has been ample warning by Apple that this day was coming, and now is the time we prepare for impact. It may be useful for you to see which applications on your iPhone, iPod touch or iPad will be hit by this future app culling. Luckily for you there is an easy way to find out. Open the "Settings" app and go to General -> About and look for the item labeled "Applications". If you have applications installed that are 32-bit only, you should be able to select the "Applications" item and navigate to a new screen with a list of all the apps you have installed that need updating. If you don't have any outdated apps installed, the "Applications" item will not be selectable. If you are a developer and have an app or two that needs updating, you may be curious about exactly what is required. Luckily for you, the process is very simple, and also presents a great opportunity to improve your code, bring it up to date and show your users that you care about their experience. The first question is whether or not your application is written in Objective-C or Swift. For most of you, the answer is probably Objective-C, seeing as Swift is a relatively new language option for iOS development. The basic process you'll need to undertake is to recompile your project and submit it as an update to the App Store for review. There are however a few important steps and checks to perform before getting right to it. 1. 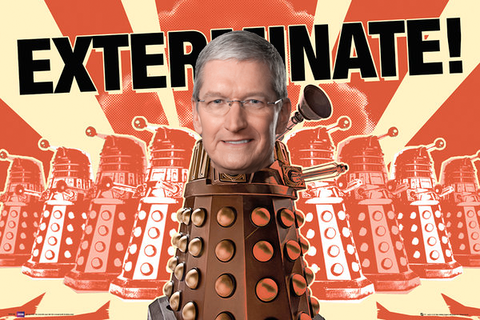 Download Xcode: The version of Xcode you have on your machine may be quite outdated. To find a newer version that has the ability to compile in 64-bit, go to this link. Here you will be able to find all versions of Xcode Apple has made available. 2. Update Project Settings: To be 64-bit enabled, your project settings must have "arm64" set as one of the values in the field "Architectures". The value would likely look something like this, "Standard architectures: (armv7, arm64)". If you don't see arm64 as an option, you may need to use a newer version of Xcode. Once these steps have been performed, you should be all good to submit your app update to the App Store! If your project was written in an early version of swift, you may wish also to update it to a more modern iteration, and also to perhaps fix any pesky bugs that you've been meaning to get too. Once you're all happy with the state of your app, follow the normal upload and submission process and rest assured that you software is safe from extermination... for now.